With mindfulness you gain greater insight into how your mind works, learn to sustain focus, make more meaningful choices- and live with the self-confidence that comes from knowing you can generate a calm, centered mind on demand. Laurie Cameron is the author of The Mindful Day: Practical Ways to Find Focus, Calm and Joy, National Geographic, 2018, and is known for her warmth, energy and insight sharing the science of human flourishing and development. Laurie integrates emotional intelligence, positive psychology, mindfulness, compassion and neuroscience into everyday language for modern work and life. 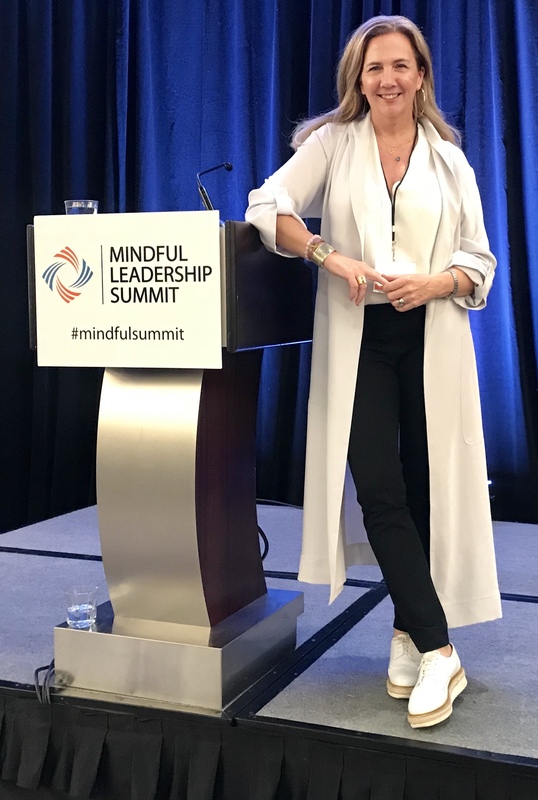 Laurie is the founder and CEO of PurposeBlue – a consultancy focused on mindfulness-based leadership programs that build resilience, creativity and engagement. PurposeBlue’s Mindful Leader programs have been delivered in Deloitte across the US. Laurie is also a mindfulness teacher with Search Inside Yourself Leadership Institute, which offers the Search Inside Yourself program developed by Google, a Senior Fellow at the Center for the Advancement of Well-Being, and a guest professor on Mindful Leadership at the R.H. Smith School of Business at the University of Maryland. Laurie speaks on the power of mindfulness around the world, including London, Munich, Paris, Hyderabad, Copenhagen, Beijing. Laurie lived and worked in Germany, Brazil and the US, and draws on her depth of business experience as a senior leader with Accenture’s Change Management practice, a VP of Leadership and Organization Development at Blue Shield and at Williams-Sonoma and her work advising hard-driving leaders with Google, Capital One, the Aspen Institute, Cisco, Discovery, Accenture and HJ Heinz. A long-time mindfulness practitioner, she received the Five Mindfulness Trainings in a quiet sunrise ceremony from Zen master Thich Nhat Hanh, and was given the dharma name Fresh Lovingkindness of the Heart. Want to book Laurie for a speaking engagement? Listen to Laurie on Insight Timer. Click the bell. Join my community to receive mindful tips, insights and guided meditations. I will welcome you to the conversation with my 5-minute centering guided meditation to get you on your way to more focus, calm and joy right now.